In this mode, all surfaces can be dug up. Weapons, items and chests can be found hidden underground. (1) Hidden among the buried treasures of Holey Battle mode lies a Lava Hammer. Players that pick it up will enter the C.D. Fortunaire draw. (2) Each server will draw one C.D. Fortunaire among qualified players after the event ends. C.D. Fortunaire will receive a daily random amount of diamond from 1 to 1000 for a year, ongoing Weekly and Monthly Passes, Flex Pass, exclusive official certificate and other offline rewards. 3. All-new #GDance Moves#l are available in the Mall. 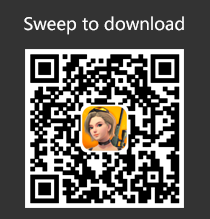 Note: Double-tap the Eye Icon during battle on mobile devices to make characters dance. (1) Increased slightly the scattering deviation of the UZI and UMP9. (2) Slightly reduced the scattering deviation of the SCAR. We hope to make submachine guns to focus more on firing rate and stability, and rifles to focus more on damage and accuracy. (1) Each Gadget Trap has a Carry-on Cap of 5. (2) Optimized rules of placing Electrified Land Mine and Doll Decoy. It is now easier to place them without terrain restrictions. 7. Added multiple graphics styles to the system settings, including Classic, Colorful, Realistic and Gentle style. Players can choose the graphics style they like. 8. Friend list optimization: Friend order will be adjusted by intimacy and online status. 9. Fixed an issue that players could be hit even after building panels. 10. Optimized Aurora Airdrop Mission Page to avoid blocking players’ sight. 11. Optimized time and battery displays during battle to avoid confusion. 12. Optimized displays of weapon skins’ quality frame in the Gallery. 13. Added current gold display in the second page of Limited Sale for players to check their current gold amount. 14. Optimized the display of back and lower back accessories. Characters will automatically spin to a right angle to check when equipped. 15. For mobile devices, pinch-to-zoom the map in the Light the Map Event is now available. 16. Added open/close button of Aurora Airdrop mission page for the PC version. Default shortcut is P.
(1) Press the Insert key to mark your current location. (2) Right-click your mark on the minimap to clear it. where recorded video is saved ? 2019-4-22 09:10 GMT-5 , Processed in 0.030128 second(s), 21 queries .